THE FIGHT GAME has long been associated with redemption, keeping people out of bother and on the straight and narrow. The profile and popularity of the sport is clearly widening, although it cannot be too often that a big fight is staged between a university graduate and one in the process of doing so. 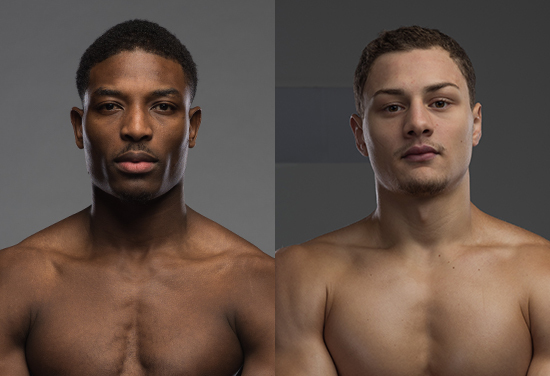 That is the case on Saturday at the Brentwood Centre when Zak Chelli takes on Umar Sadiq in an intriguing battle at super middleweight. Zak is putting down the books from his studies at Surrey University, while Umar is already a qualified book keeper from his days at London Met. “At the moment I am living in Guildford so I can travel to Surrey University where I am second year Business Management and Marketing,” explained the 20-year-old Zak, who has four winning fights on his pro card. “I am a very organised guy and try to fit everything in perfectly, leaving enough time for study, university and boxing,” he added, stating that his work and rest leaves little time for any play. “That is the problem – I never really socialise! The 30-year-old Umar is a qualified accountant, who has given up crunching numbers for now in a bid to add some letters from the boxing alphabet to after his name. “Qualified is a bit of an overstatement, but I am an accounting graduate and I have worked as an accountant,” said the 3-0 man, also known as ‘Top Boxer’. I left it when I decided to turn pro as a boxer because it is a serious sport that requires a lot of time and effort. Most people who make anything of themselves are the ones who do it full-time. Who wins? Marketing or Maths? Find out on Saturday. JAMIE MOORE HAD to make an awkward call recently by banning his former manager Steve Wood from his own gym. A conflict of interests has come about due to Moore – who trains his fighters out of Wood’s VIP base in Salford – being mentor to Carl Frampton, while Wood is manager to IBF world featherweight champion Josh Warrington. Warrington, of course, defends his title against two-weight world champion Frampton on the blockbuster Manchester Arena show on December 22. There will be no more popping down from the office to take in a bit of sparring for Wood until this one is done and dusted – not without permission, anyway. On the subject of the fight – not to mention, night – of the year on December 22, it has not just been Jamie Moore faced with a tough call. Ryan Garner has earned rave reviews for his sparring sessions with the likes of Frampton, Warrington and Michael Conlan since he turned professional in mid-2016. So much so, that both Frampton and Warrington wish to employ him as a main mover and shaker ahead of their blockbuster in Manchester. 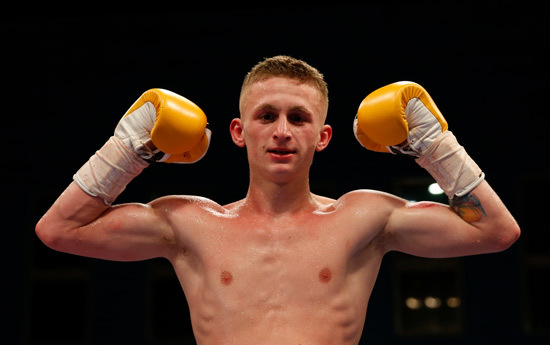 First and foremost though, featherweight hopeful Ryan wants to get in on the act himself with a slot on the card and Frank Warren has hinted to the Piranha that he might just take the bait. “I had a meeting with Frank when I re-signed a contract with him and he did say I could possibly be on it,” revealed Ryan. “Another good thing is that both Josh and Carl have said they want me as one of their main sparring partners. “So it is just deciding who to go with!,” he pondered, before sensibly suggesting it is one he might just leave to his handlers to determine. So the odds are leaning towards Team Warrington for this one. Ryan helped Frampton prepare for his big Windsor Park night against Luke Jackson and he clearly left a lasting impression on trainer Moore with his exploits. “Good fighter him and a great signing for Frank,” said Moore of Ryan extending his promotional agreement. “We had him down for sparring before the Luke Jackson fight and Carl told me he had some horrendous spars with him in the past down in London. “He said he is a very, very good kid so Carl wanted to test himself and see how much he’d come on because he knew the quality of sparring he would get with Ryan. “We got him down and the first time they went at it, it was exactly how Carl had explained it to me. He is a real come forward, aggressive fighter, a good body puncher with a good work rate. “I think he is a great prospect and definitely a champion for the future. “If he can stand in there and hold his own with Carl Frampton, who is one of the best fighters in the world, then he is onto a good thing.